Originally a passenger ship for operating on the Black Sea, the hospital ship ‘Armenia’ was sunk on 7th November 1941 by a German torpedo armed Heinkel He 111 while evacuating civilians, hospital staff, and wounded soldiers from the Crimea. Even set against an increasing context of everyday Nazi atrocities, this was exceptional. Although there are certain grey areas around the operational role of the Armenia, she was clearly displaying the international red cross. Estimates put passengers and patients at between six to eight THOUSAND people (the Armenia was laid down to take 900 passengers). A total of just eight people were rescued from the ship to survive. On 7th November 1945, Group Captain Hugh Joseph Wilson of the RAF, set the world’s first speed record with a jet-propelled aircraft, and the first speed recorded by an aircraft in of more than 600 miles per hour. His Gloster Meteor F.4 (EE454 ‘Brittania’) reached 606.36 miles per hour at an altitude of 250 feet over a course from the Herne Bay Pier to Reculver Point, on the East Coast of England. 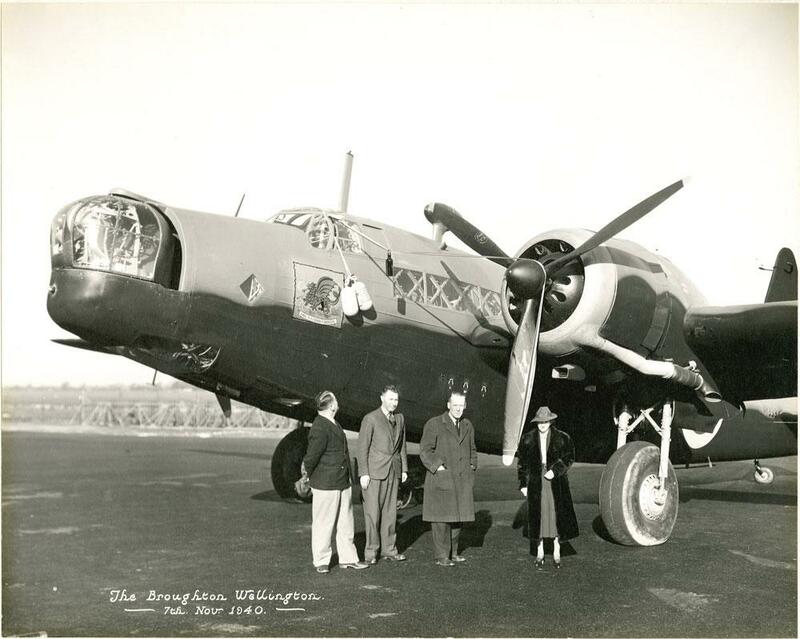 Wellington bomber at the Vickers-Armstrongs factory, Broughton, Wales, 7 Nov 1940. 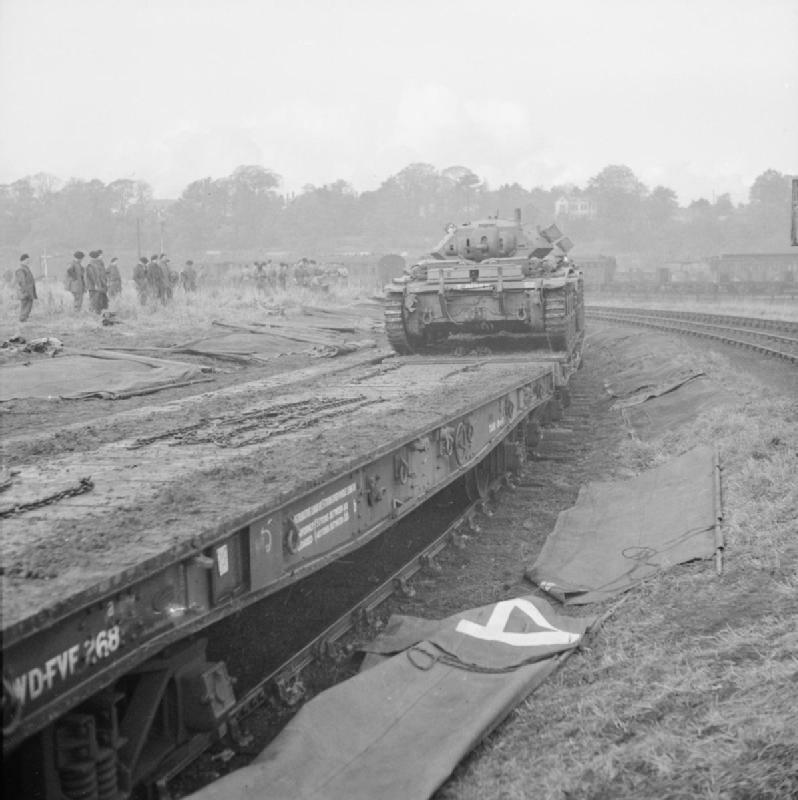 British Covenanter tank ‘entraining’ onto a flat wagon, Britain, 7 Nov 1942. Seldom modeled (I’ve never seen a completed build on iModeler – although there are kits around) the Covenanter was a replacement for the Cruiser Mk IV. 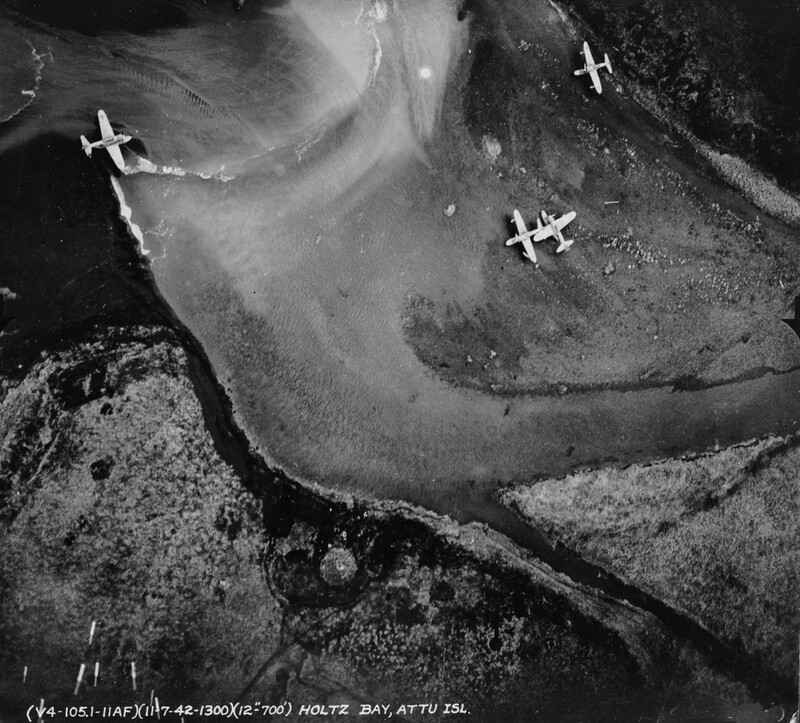 B-24 bombing photo of the Aleutian Islands, Alaska, 7 Nov 1942. Clearly seen are Japanese A6M2-N (‘Rufe’) floatplanes. 13 responses to On This Day…November 7th. More great photos! Thanks again, Dave! Aren’t those bombs falling in the lower left of the bomber photo? Great action shot! I do think those “Rufes” were cool floatplanes! Of course, I like about anything to do with the Japanese Zero/Zeke family of aircraft. Jeff, those are bombs, I can only imagine those Rafes were not much longer for this world after the photo was taken. Another great set Dave, I wonder if there is a decal sheet for that Meteor ? Must be, Neil – classic airframe in a historic effort. If there’s not a decal set, someone’s missing a trick! Loading of rail cars, something different. Robert, I even learned a new word, ‘entraining’ – all this, and education, too. Ha! We could make our own iModeler dictionary! The ‘Armenia’ was a sad story indeed. Only eight people left to tell the tale. The ship wreck has never been discovered, unlike MV Wilhelm Gustloff and MV Goya.